You’re not surprised to see that AV technology purchasing decision makers are mostly IT. But do you actually know how to talk to your new sales targets? The needle continues to move when it comes to customer organizations’ most influential AV technology purchasing decision-makers working in the IT department. 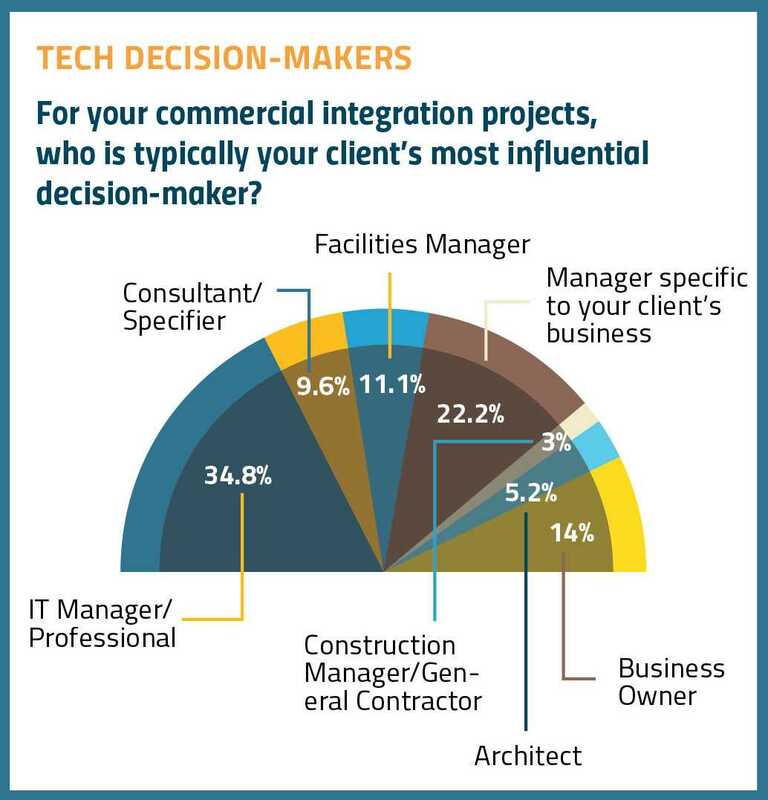 When we asked AV integrators who their typical decision maker is, about 35 percent answered “IT manager,” as our 2019 State of the Industry research shows. 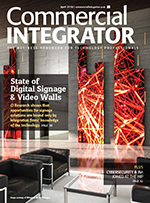 It’s 35 percent this year, a notch up from 34 percent last year, and dramatically up from when Commercial Integrator launched in 2011 and facilities managers reigned as AV technology purchasing decision-makers. The numbers don’t tell the whole tech-decision-making story, though, says NSCA’s Chuck Wilson. The 22 percent indicating that a department manager is most influential, he says, likely make decisions in conjunction with the IT department. There are certainly new IT-enabled products coming out left and right. Obviously, knowing the ins and outs of those products helps. 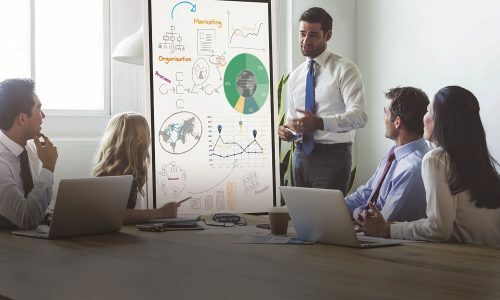 But the key to better conversations (read: more profitable conversations) with AV technology purchasing decision-makers could be in removing technology from certain environments where it is not needed. Or, it could be in helping your IT pro clients decide where their existing tech could be optimized. You’re providing a well-rounded service and solution; not a laundry list of “this-does-that” black boxes. 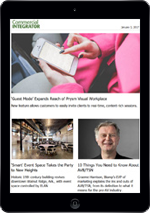 “It’s about removing the wasted technology from a building; helping the end users understand how to run their businesses better with technology. Those types of decisions are being pushed to IT managers, and it has the manager very involved. There has been and remains many avenues for the classical AV organization to make the turn. 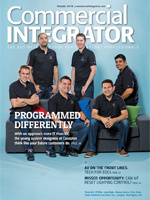 There are from my lens only 5 “AV/ IT” integrators in USA who are on the right path.